If you’re looking for a feel-good family movie this Thanksgiving season, “Instant Family” is a must-watch. The movie is well done and the emotional scenes, both happy and sad, are truly emotional. Couple Pete and Ellie, played by Mark Wahlberg and Rose Byrne, decide to start a family and find themselves in the world of foster-care adoption. They end up adopting 15-year-old Lizzy, played by Isabella Moner, and two other kids by chance. The movie celebrates many aspects of family life and delivers a message of the importance of families. Wahlberg delivers a solid performance after his recent flops such as the new Transformers movies. 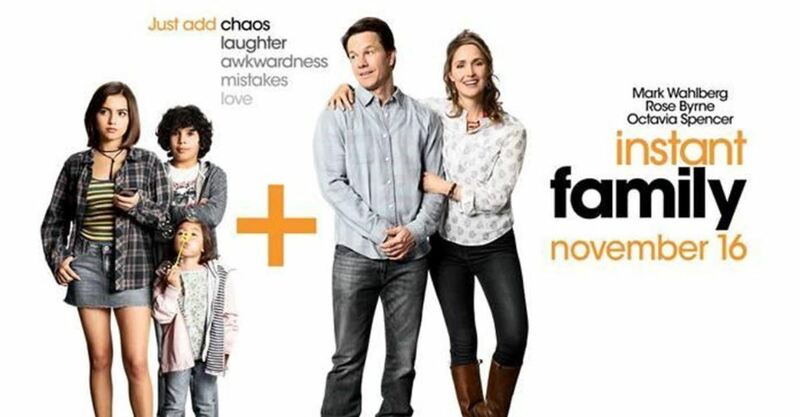 “Instant Family” gives insight to the complexities of being a foster child and delivers many laughs as well as tears.